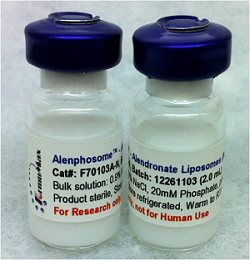 on Alendronate liposomes and this product is made available for research studies only. • Usage: warm to room temperature and mix well before use. macrophages in the nonhuman primate model of human disease. J Leukoc Biol. 2014 Sep; 96(3): 491–501.